Sophomore ace Jolene Henderson couldn’t deliver a game three win for the Bears, giving up 10 hits against the Gators in Oklahoma City. The Gators did it again. For the third time in four years, the Cal softball team’s postseason run has ended at the hands of Florida — the latest instance being a 5-2 loss in Saturday’s second game of the Women’s College World Series. 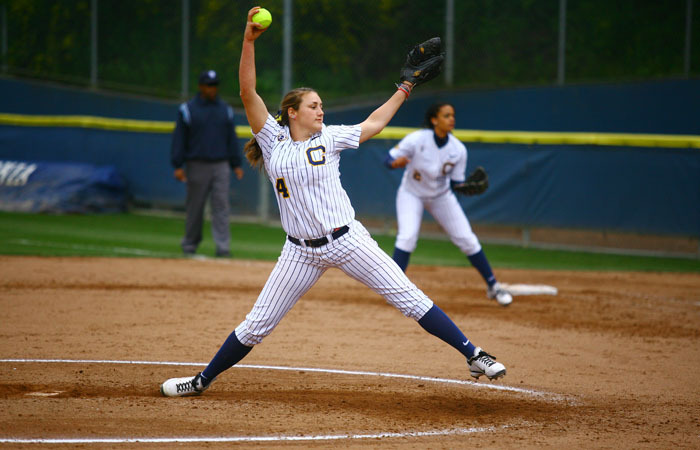 After dropping its opening WCWS contest to Alabama, 1-0, on Friday, Cal (45-13) staved off elimination with a 6-2 victory over Oklahoma State the following morning. Williams got things started in the first when she hammered a double, bringing home shortstop Britt Vonk for her team-high 42nd RBI of the season. Catcher Lindsey Ziegenhirt followed up with a single to center field to score Williams and put Cal’s second run of the game on the board. When center fielder Frani Echavarria’s one-out single loaded up the bases, the Bears had themselves a golden opportunity to run away with things early at Oklahoma City’s ASA Hall of Fame Stadium. However, Cal ended up stranding everyone when Florida’s Hannah Rogers fanned Victoria Jones and forced a ground out by Jordan Wallace. The Bears paid for the wasted chance, failing to manufacture any more runs for the rest of the game. While Cal struggled to tack on extra runs, Florida brought its bats in the third inning and left the frame up, 3-2. With the bases juiced, shortstop Cheyenne Coyle hit a two-out single to plate Kelsey Bruder, and an errant throw by Vonk allowed Brittany Schutte to score from second. Senior second baseman Aja Paculba followed suit by singling home Megan Bush. The Gators would add on runs in the fourth and fifth innings to complete the scoring. In Saturday’s first game against the Cowgirls, the Bears were able to keep their postseason alive due to clutch hitting. With Cal down, 2-1, in the fifth, Ashley Decker delivered a two-out triple that scored three and gave her team the lead for good. But after bouncing Oklahoma State, the Bears couldn’t find similar heroics to save themselves from elimination against the Gators. The team stranded a pair of baserunners in both the second and fourth innings. Cal then squandered another valuable scoring opportunity in the fifth inning; with pinch runner LaRisa Jones on second base and Decker on first, Echavarria grounded into a double play.